The wait is over – we´ve finally completed our search for our League of Legends roster. Today, we are extremely excited to announce our entrance in one of the BIGgest eSports titles there is. We joined forces with Juho “NilleNalley” Janhunen, Muhammed “Agurin” Kocak, Calle “Dragane” Dargren, Tobias “Navio” Stephan and Nils “Hammann” Hammann, formerly known as Black Lion. The team, that counts as one of the best in Germany, managed to qualify for the 25.000€ ESL Meisterschaft playoffs recently and can be seen playing there in the upcoming week. For the best preparation possible the young and upcoming team is going to be bootcamping in Düsseldorf. We are proud to enter League of Legends, undoubtedly one of the most famous and successful esport titles on this planet. Since our foundation in January 2017, we already had many opportunities to enter the LoL scene. This time it felt right and we are happy to join forces with a young and talented LoL squad. Their passion and dedication for the game fit our ambitions perfectly and we are thrilled to see them on the battlefield under the BIG tag. I´m really excited to finally welcome our first LoL team to our BIG family. We waited a long time to find and pick up the right roster, now we fulfilled our wish with the signing of the former Black Lion squad. All players are very talented for their age and I´m looking forward to create a pleasant entry into the professional eSports scene for them. 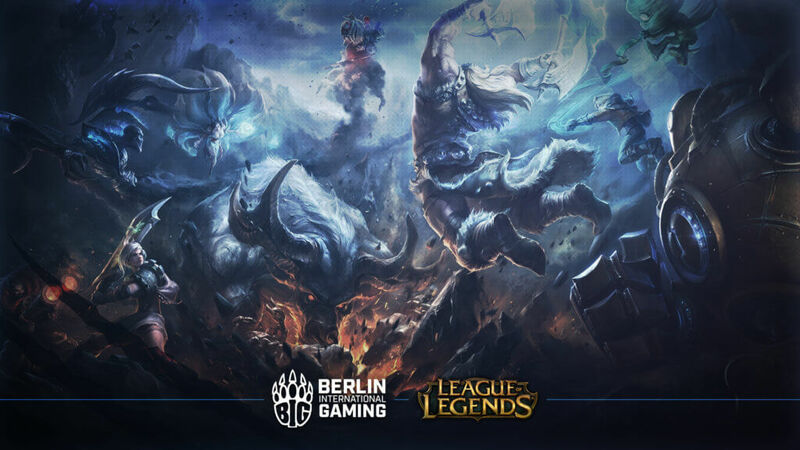 The upcoming ESL Meisterschaft Finals will be our first task together, which also means that BIG returns to one competition of the official German Championship. See you in Düsseldorf next weekend! I and my boys are very happy and excited to play under such a respectable and established name as BIG. We are very fortunate for this opportunity and will take it and use it appropriately, we will strive to work towards the goals of the organization and ourselves which for now is winning the ESLM, both this split and the next! See you on the rift and I hope you guys are as ready and hyped for this announcement and partnership as we are! Further information regarding the new players can be seen on our website within the following week. The Lions are now Bears. Welcome to BIG!